Since their introduction many year ago, Shimano Hollowtech cranks have been the best cranks you can put on a mountain bike. Extremely strong, remarkably lightweight, and stiffer than a straight shot of whiskey. 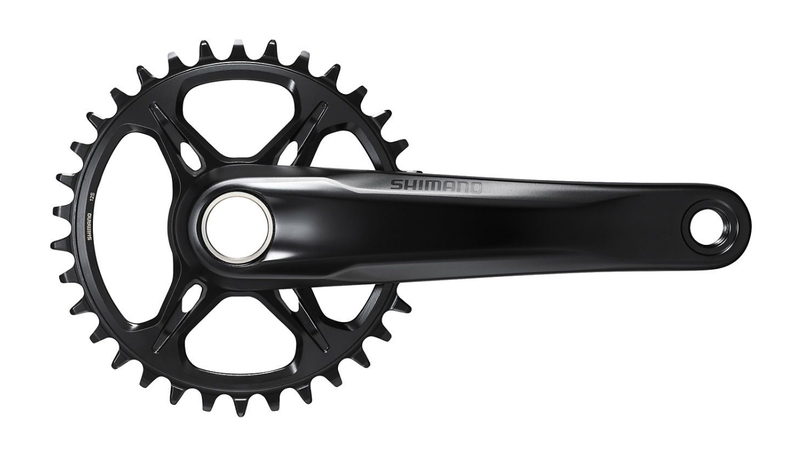 The Shimano FC-MT900 crankset features the most advanced mountain bike chainrings ever produced. Special MTB gear teeth profile improves chain engagement and retention. The crankarm construction exemplifies the level of craftsmanship that's put into an Shimano crankset, utilizing a 3D hollow bonded structure to further reduce weight and increase stiffness. Is this the correct crank for the XTR 12 speed? BEST ANSWER: Yes it is. It has the correct, new direct mount HyperGlide+ chainring that works with the new 12 speed Shimano XTR M9100 groupset. Is this for a boost frame?